Is Crack Rehab Aftercare Necessary? What is Crack Rehab Aftercare? Relapse is typically defined as the resumption of drug use after a period of abstinence. Aftercare is a formalized, post-treatment care option that aims to prevent relapse by teaching individuals the skills they need to cope with triggers and maintaining attendance in on-going therapy or counseling. Continuing care/aftercare for crack addiction recovery significantly improves positive treatment results. According to Drug Abuse Treatment Outcome Studies (DATOS), the number of crack users dropped from 67% to 29% in the year after treatment and these positive treatment results endured at least five years after the end of intensive/acute treatment. Aftercare options include different types of therapies, mutual help groups, and recovery support services. In the U.S., the illegal drug most associated with hospital ER events is cocaine. As a potent form of cocaine, crack is similarly, if not more dangerous. Retention in aftercare treatment for crack dependence works. If you or someone you love are crack dependent, please call 1-888-993-3112Who Answers? 24 hours/day to speak with one of our treatment support team members about how treatment can help you to regain control of your life and how effective aftercare support can help to maintain it. Relapse is typically defined as the resumption of drug use after a period of abstinence. Anecdotally you may have heard the phrase 'relapse is part of recovery'; alluding to the fact that drug addiction is a chronic disease that requires a lifelong commitment to wellness, medication compliance, and adjunct recovery services to guarantee success. Given the high rates at which individuals in recovery from crack addiction 'slip' or relapse following the first phase of intensive treatment, relapse prevention strategies must be an integral part of your aftercare plan. In the new 'patient-centered' treatment environment afforded by passage of the Affordable Care Act, crack addiction treatment can be accessed as part of a continuum of care that extends well past completion of the inpatient or outpatient acute rehab treatment phase. Believing that relapse from crack is caused by internal factors. Understanding the myriad decisions that take place prior to actual crack relapse. Acknowledging one's expectations about crack's psychoactive effects. The level of confidence you have in controlling your behavior. Research demonstrates that a year after completing treatment, 30-50% of people stay completely abstinent. These statistics are similar to percentages for medication compliance for the treatment of other chronic medical conditions such as diabetes and hypertension. As such, patient improvement is the goal of treatment. The search for an outright cure for addiction has shifted in priority as the applicability of a chronic disease management model has become apparent; sustained management and maintenance of sobriety is the indicator of whether the treatment works. 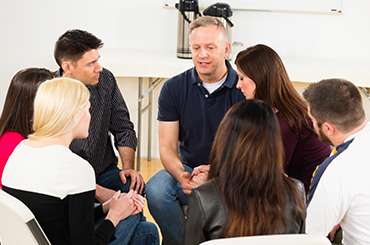 Addiction treatment research demonstrates that group therapy, particularly using cognitive behavioral therapy (CBT), achieves the same positive results as individual therapy, and is much less expensive to administer and participate. The peer to peer dynamic of a group therapy session is also a beneficial aftercare adjunct, providing social support. Moreover, participating in a group dynamic with like-minded individuals helps create a system of authentic empathy, which has been identified as a necessary component in mental health issues attendant to recovery and relapse from crack addiction. Research also suggests that participation in group therapy promotes commitment to abstinence and increases self-efficacy due to modeling - individuals struggling with addiction can develop stronger coping mechanisms if they are actively engaging with others in a similar situation. Abstinence as the goal versus harm reduction. Complete acceptance of disease control (powerless over crack). Surrender (accepting fellowship and 12-step peer support). Active participation in culture of 12-step meetings such as Narcotics Anonymous. Anecdotal evidence suggests that 12-step treatment is a very useful adjunct and many people have found long-lasting sobriety by adopting the 12-step approach to life. However, there is some evidence for the efficacy of 12-step programs in young adults coming out of residential treatments. 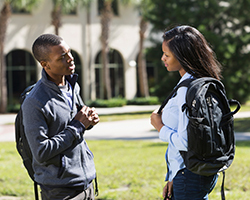 A prospective investigation conducted in 2012 concludes that active involvement in 12-steps was independently related to better substance use outcomes. Therefore, 12-step treatment may be particularly helpful for a subset of individuals who do not have a strong social network of family and friends that can facilitate recovery. The most important aspect of the 12-step treatment is the sense of connection it fosters with other people. In comparison to other evidence-based addiction treatment approaches, there is scant data regarding the efficacy of 12-step treatment due largely to the anonymous aspect of the mutual help approach, however, research has highlighted the value of social integration and perceived social support in recovery from cocaine dependence. There are no FDA-approved medications to treat crack addiction or to provide pharmacological support in crack dependency aftercare. However, according to the National Institute on Drug Abuse (NIDA), disulfiram (which has traditionally been used with alcoholism) is prescribed to discourage cocaine use and has been shown to be effective. Crack abuse has been associated with heart attacks due to coronary arterial occlusion and/or vasospasm. Users must be monitored for respiratory arrest, hypertension and chest pain. Seizures and headaches can be managed with medication. Gastrointestinal problems like abdominal pain and nausea should be managed to prevent malnutrition. "A drug-free residential setting that uses a hierarchical model with treatment stages that reflect increased levels of personal and social responsibility. Peer influence, mediated through a variety of group processes, is used to help individuals learn and assimilate social norms and develop more effective social skills." The National Institute of Health (NIH) differentiates TC's by the "community as method" approach, whereby peers and staff are change agents, and it is primarily through interaction with the recovery community that abstinence from crack dependency may be achieved. Chances are that you will 'slip' or relapse during aftercare. While it will be a setback, it is recognized to be part of a larger process of behavior change. The best thing you can do is access as many crack dependency aftercare resources as possible in the event that you do relapse. For more information on crack aftercare, please call 1-888-993-3112Who Answers?. Contingency management (CM), an incentive-based treatment approach, is an effective psychosocial tool for reducing crack usage and maintaining abstinence. Strengthening participation in such treatment goals as employment, community service, and healthy family interaction. When combined with CBT, CM has been shown to be more effective because underlying negative behaviors and emotions are investigated while improving motivation to stay clean. Having a loved one who is using, dependent on, or trying to recover from crack addiction puts you in an incredibly difficult and stressful situation. First and foremost, it is critical to get professional help. Empower yourself by learning as much as you can about crack addiction and recovery. Don't take responsibility for your loved one's actions and live your own life.